New Poster for Tim Burton's "DUMBO"
Here with a new poster for Tim Burtons "DUMBO" and it is hauntingly adorable! "From Disney and visionary director Tim Burton, “Dumbo” expands on the beloved classic story where differences are celebrated, family is cherished, and dreams take flight. A new trailer, images, and poster are now available. The trailer features Colin Farrell, Michael Keaton, Danny DeVito, Eva Green, Finley Hobbins, and Nico Parker. Circus owner Max Medici (Danny DeVito) enlists former star Holt Farrier (Colin Farrell) and his children Milly (Nico Parker) and Joe (Finley Hobbins) to care for a newborn elephant whose oversized ears make him a laughingstock in an already struggling circus. But when they discover that Dumbo can fly, the circus makes an incredible comeback, attracting persuasive entrepreneur V.A. Vandevere (Michael Keaton), who recruits the peculiar pachyderm for his newest, larger-than-life entertainment venture, Dreamland. Dumbo soars to new heights alongside a charming and spectacular aerial artist, Colette Marchant (Eva Green), until Holt learns that beneath its shiny veneer, Dreamland is full of dark secrets." 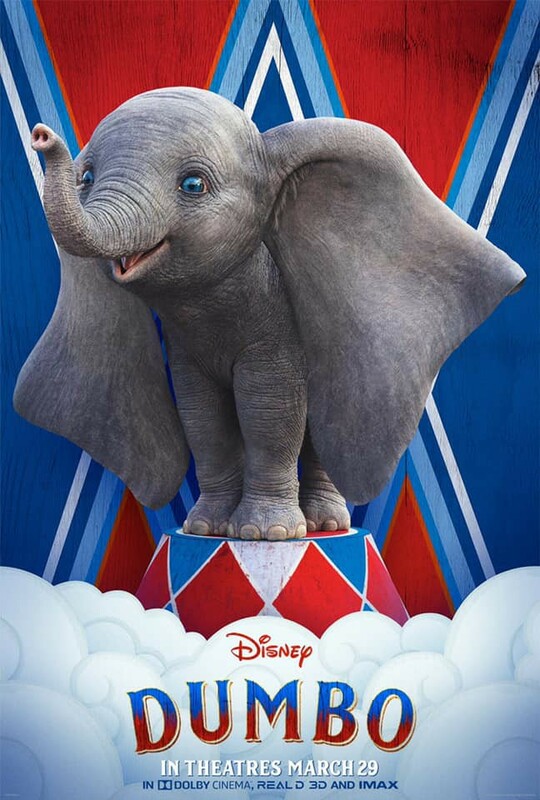 Well, folks, what do all of you out there in Geeklandia think of the new "DUMBO" poster? "DUMBO" is set to soar into our collective hearts on March 29th of 2019 will you be there?